Speed becomes the most overwhelming advantage of email! This symbol will make a great design for the office or den on throw pillows, framed embroidery and more! 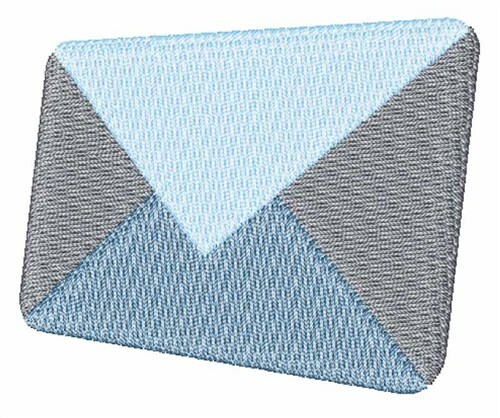 Easy Embroidery is happy to present Envelope machine embroidery design which has 4516 stitches and is [52.18 mm x 45.91 mm] large. If you would like to view more embroidery patterns please search on our embroidery designs page.